Chances are good that you are familiar with the Christmas story. Not A Christmas Story, where Ralphie gets his tongue stuck on the flagpole and Randy shows Mommy how piggies eat, although that’s a good one, but the official Christmas story, where Jesus is born in a manger to a virgin named Mary. We all know about the manger and the shepherds and the wise men, but I think a fascinating aspect of the story gets overlooked because it happens just a little further down the page in Luke 2. It’s the story of Simeon and the prophetess Anna. because Simeon had been looking for Jesus, he knew immediately that he was in the presence of God. Then there was Anna the prophetess. We read that Anna never left the temple and worshipped day and night. So what do Anna and Simeon have in common? In a temple that was most likely brimming with people that day, they were the only two who realized they had just come face-to-face with God in the flesh. They recognized God even though He showed up in a way that was completely unexpected and probably different than they had imagined. And I know that the reason why they were able to look at this tiny baby and see the face of God is because they were filled with the Spirit. This wasn’t a way they lived just on the Sabbath or when life brought difficulties. It was the way they lived each day of their lives. Anna and Simeon are a challenge to me to live in such a way that I am always waiting and hoping for the moment God shows up. 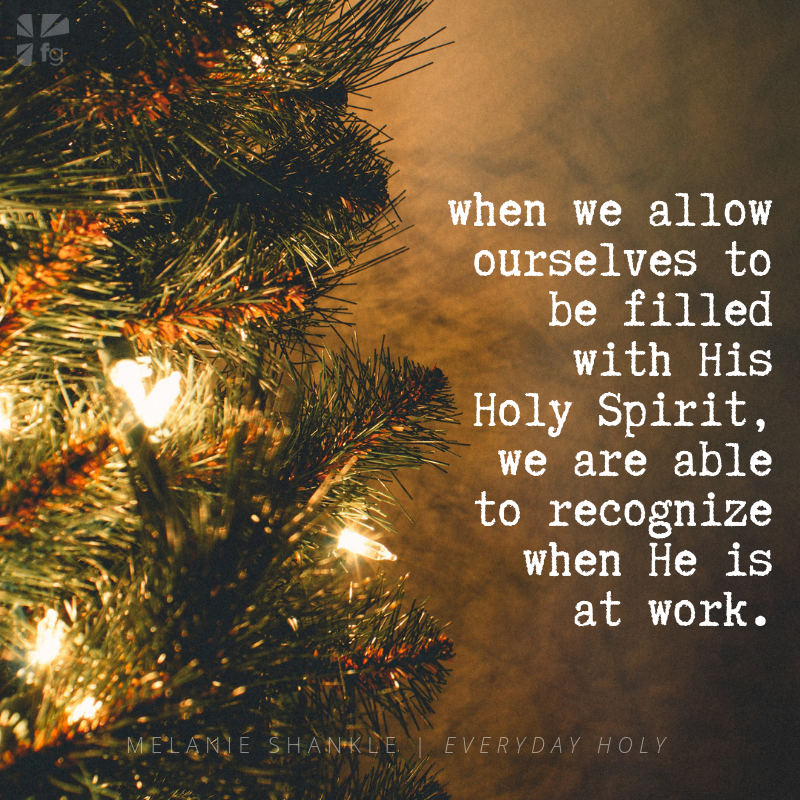 Excerpted with permission from Everyday Holy by Melanie Shankle, copyright Melanie Shankle. 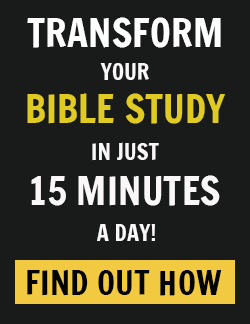 Are you waiting for Jesus to show up in your normal, everyday life? 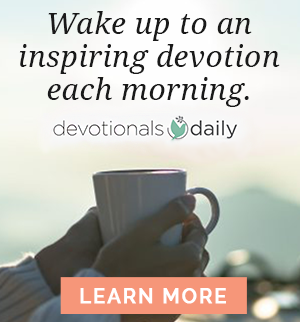 Are you hoping for the everyday holy? In the middle of the hustle and bustle, let’s be the ones who see Him because we’re watching carefully. Come share your thoughts with us on our blog. We want to hear from you about recognizing Immanuel in our midst!